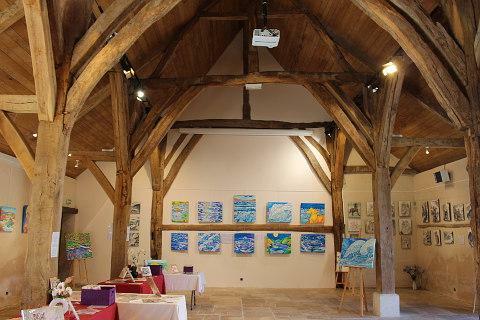 The village of Cambremer is situated in the countryside of the Calvados region of Lower Normandy to the west of Lisieux and 35 km east of Caen. 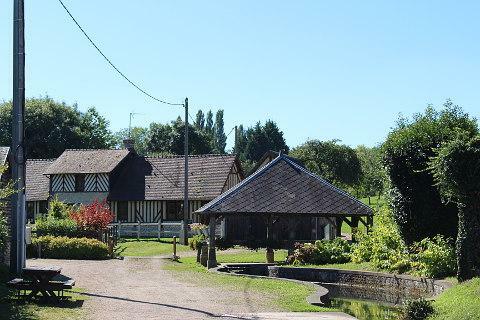 Both in the village itself and in the surrounding countryside there are lots of 'traditional' Normandy houses, manors and countryside to be see. 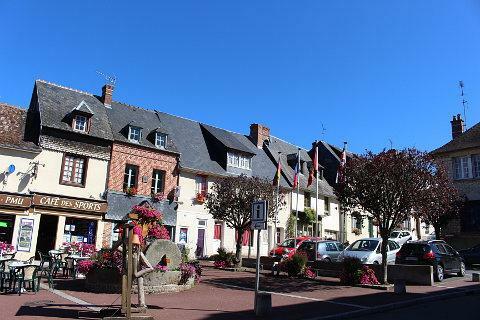 Cambremer is a small but pretty village with two lavoirs, an old manor house, several attractive half-timbered buildings and various other houses using the traditional slate covering, all set in the attractive rolling Normandy countryside, making for a very pleasant visit. An ancient church dominates the centre of the village. Although part of the church is a 17th century addition the central tower in roman style is from the 12th century and the highlight of the building, surmounted by a very imposing spire. 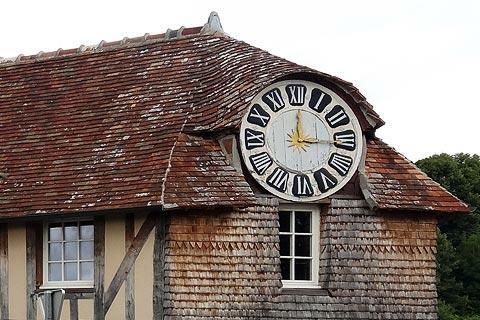 The Grange aux Dimes in the village has some lovely carpentry work and is also used for exhibitions during the summer, and another interesting artefact is the large sundial on the end of one of the oldest of the half-timbered buildings. 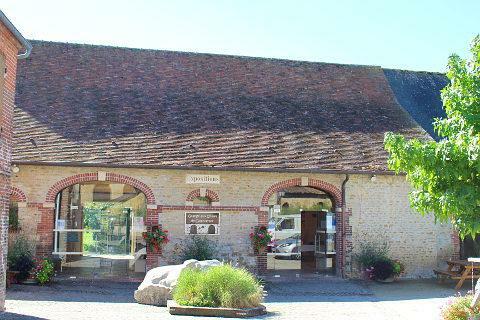 Be sure to also visit the park at Jardin du Pays d'Auge which is a large area (about four hectares) with a well maintained series of gardens set around a 17th century farm and other buildings and two small museums (one dedicated to old tools and the other to the boulangerie). 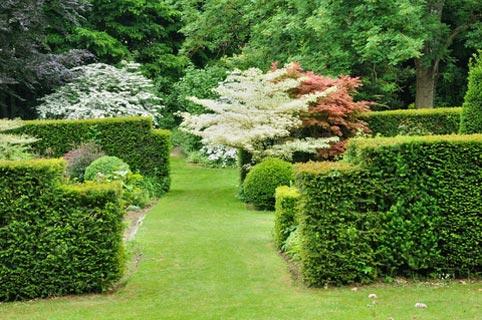 France This Way comment: the Jardin du Pays d'Auge is beautifully maintained and has a very wide range of plants to enjoy - for us it was the highlight of a visit to Cambremer! On the edge of the village the lavoirs are situated close to some beautiful half-timber cottages. During the summer months a 'traditional French market' is held in Cambremer each Sunday morning - a fun and entertaining time to visit as there is often with music and traditional dancing etc as well as the market itself. Visit the Cambremer Tourist Office on Rue Pasteur for local information about activities taking place during your visit. Nearby a visit to the Chateau de Crevecoeur is also recommended - it is a very modest early-medieval castle with various associated buildings in a carefully maintained garden settting, and very lovely. Likewise, the Manoir du Bais just outside Cambremer is a beautifully restored 16th century manor house and outbuildings including a pigeonnier surrounded by a moat in a beautiful setting. 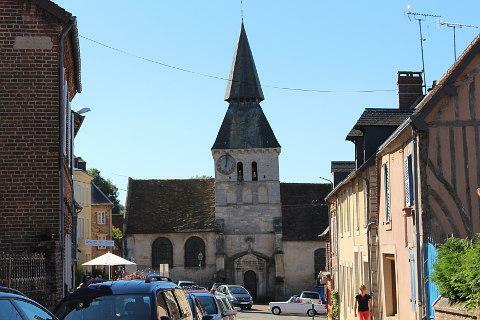 We also enjoyed a stroll around the hamlet of Grandouet which has a church and several historic buildings including a wine cellar that is open to the public. Cambremer is perhaps best known as the starting point for the Normandy Cider Route - a route that passes through many of the most picturesque places in this part of Normandy, and a great introduction to the scenery, countryside and towns and villages. 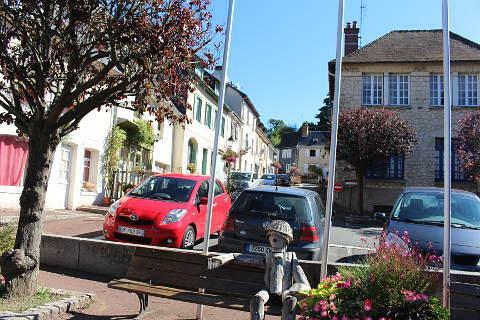 Among our favourite villages here is Beuvron, a few kilometres north-east of Cambremer and a listed 'most beautiful village of France'. 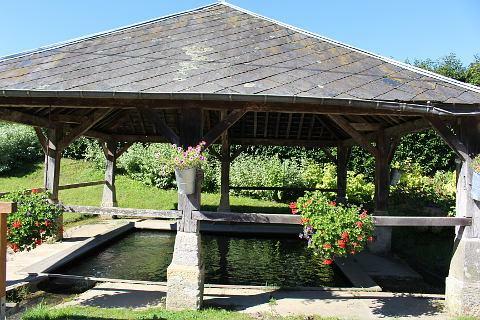 The village also is part of the 'Route of Parcs and gardens' of Lower Normandy - visit the garden of 'Armelle et Jacques Noppe' to see a very picturesque garden set around an ancient farm and associated buildings.